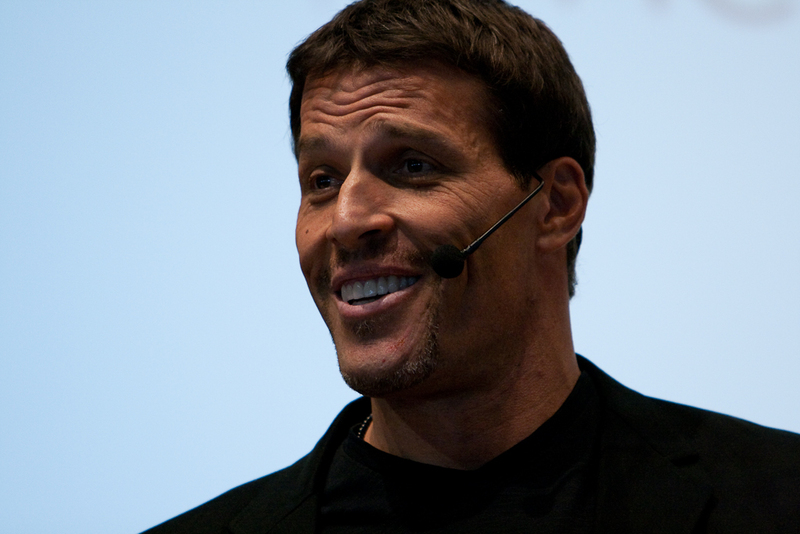 According to motivational speaker Anthony Robbins, if you believe in yourself enough you can achieve anything. Public speaking is one activity that requires a great deal of self belief. It’s also a form of communication where you can reach a lot of people with your message. For that reason it’s a key success factor in many fields. 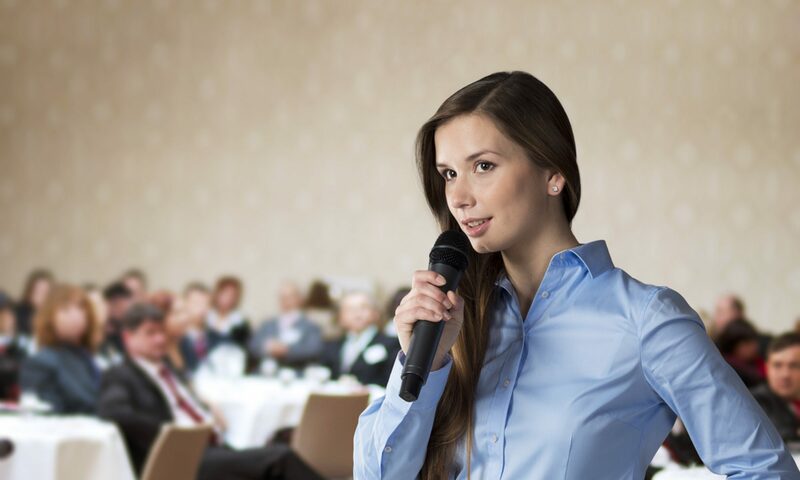 Public speaking covers anything from a talk to a small group, through to a presentation to hundreds of people or a TV or radio broadcast to many thousands. Typically it involves ‘concepting’ or copywriting a speech and then successfully delivering it. Award-winning advertising Creative Director, Simon Angelo, who helps teach SpeechSchool.TV’s Master Communicator course says that public speaking has been critical to the success of his clients. SpeechSchool.TV is the world’s leading online speech school. It developed the Master Communicator course because public speaking and presentation skills are critical areas for people in business, the professions and many other walks of life. Yet, according to the School, public speaking and presentation skills are often taught poorly with too much focus on delivery, rather than how to successfully structure a powerful enough message that speakers and audiences can believe in. SpeechSchool.TV aims to remove the fear of public speaking for its students by teaching the proven techniques and approaches used by the world’s most successful speakers and influencers. It takes much from the television advertising industry. Lesson 1 of the Master Communicator program for instance is titled “The Jaws Opening” and looks specifically at how to deliver an opening that is guaranteed to get attention and then establish the credibility needed to make an audience follow a speaker. One of the effects of globalization has seen the international contact centre industry move capacity to offshore locations where operator costs are lower. However this has been creating problems with understanding between callers, and that’s where online speech training is coming in. Chances are if you call your bank or telephone provider’s customer service line, the call won’t be answered in your local country, but in India, the Philippines or a host of other countries where large offshore call centres operate. One such example is Barclays Bank in the UK, which forwards thousands of such calls to operators in India. Generally the operators selected have a good grasp of the English language but one of the difficulties in facilitating calls is the accent of the operator. This causes frustration to the caller who finds it difficult understanding what is being said. The process doesn’t do anything for the reputation of the organisation as ‘coal face’ customer support is seen by the customer to be limited. SpeechSchool.TV is the largest provider of online speech training and has been working with a number of local and offshore call centres to help them streamline spoken English on the phone so it can be easily understood and the operators are respected. According to SpeechSchool.TV, the demand has not only come from call centre managers but also from HR managers to provide communication training to more senior personal bankers, account managers and those whose spoken impression to the customer is vital. The School has worked with employees from large organisations such as the HSBC Bank, the Google Contact Centre, telecommunications companies and law and accountancy firms worldwide. SpeechSchool.TV provides an online video based program that teaches the Standard English Accent. It has been used by call centres, banks and other firms for streamlined and cost effective speech training worldwide. Students taking the course report they are being understood and respected much more when speaking. They also report positive results with their accents and in some cases an increase in their incomes as a result. The speech training program for corporates, call centres and other organisations includes the option to do assessments online before starting and then once every few months. These speech assessments are graded and sent on to supervisors who can gauge clearly the level of progress that staff are making in terms of their clarity and effectiveness in speech. The School also offers a more advanced sales training program – the Master Communicator course. This is a sales and presentation training program based on years of experience in the television advertising industry. It is designed more for native (or stronger) English speakers and improves confidence and presentation skills to provide a lifelong communication advantage. According to the Course Director, it is perfect for professionals looking to get that extra edge. SpeechSchool.TV is currently working with several organisations to roll out pilot speech and communication training programs for their staff. Further enquiries may be directed to the SpeechSchool.TV website.